Although Guy Bell lived in several states throughout his childhood, he always felt that Dallas was home. The area provides Guy and his family with many opportunities to spend time outdoors. When Guy is not at work, he enjoys hunting, fishing, camping and spending time with his family. He has two boys that love the outdoors as much as Guy does. Guy is teaching his boys the art of painting in hopes that they will love it as much as he does. Guy has always been artistic and liked colors. After finishing high school, he began looking for a trade in which he could use his artistic talents. He met a contractor who mentored him in the painting industry and spent the next few years watching, listening, and learning. Guy began to hone his skills as a true painter. He found something for which he had a true passion and at which he was good. His mentor taught him all about residential painting, and after several years, Guy decided to branch out and learn commercial painting as well. Guy loves the process of taking something and making it beautiful. Guy was not satisfied with not being able to control the quality of the work during all project phases. 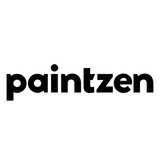 He decided to build his own company, which allowed him to raise the quality and standards of painting. Painting is Guy's passion; he doesn't do it to just earn a living. It is something that excites him. Every job provides him with a new opportunity to make someone happy. He can make a house feel like a home or a business look spectacular. He feels blessed to have found his calling as a painter. Customer satisfaction is very important to Guy. He prides himself in exceeding his customer's expectations. He strives to complete all projects on time, keep a clean job site, and pay attention to all details. His eye for detail and his enthusiasm distinguishes him from other painters. Guy sets high standards for all crew members with an emphasis on being respectful of all homes and valuables. Guy treats all properties as if they were his own. 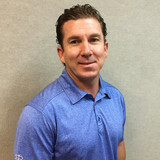 He is committed to taking the time to talk to customers, answering any questions, and making sure that he understands exactly what they want and need. At the end of the project, Guy wants each customer to be as happy as he is about his workmanship. Macon Painting offers excellence in interior residential and commercial painting, decorating, and home makeover options. Serving the North Dallas area and Collin County with over 38 years of dedicated craftsmanship, all of our work is done with our client's vision in mind. We take extra care to maintaining a clean jobsite during the entire process, and we are experts at furniture handling and mindful care of your floors. Our excellent reputation is well documented and visible on our Facebook site and many other online sources. We offer all facets of interior painting, fusing contemporary interior design and old fashioned painting techniques. Our unique and innovative style caters to all our clients and as we continue to deliver the best work possible. Our consistent work history results in mostly all -5 star reviews. We welcome you to consider using one of the most the most trusted names in town for all your painting, repairs, and interior decorating needs. Contact Steve for a free quote. Burns & Parks Painting has provided painting solutions for residential homes as well as large-scale commercial construction projects for more than 35 years. We are insured and bonded, have an on-site project manager, and offer free estimates. Burns and Parks Painting is the house painter of choice when you need the job done right the first time. CertaPro Painters is America's most referred painting company. For over 25 years, we've been delivering great results and great value to anyone who needs painting. You can count on us to deliver the best painting experience you've ever had. 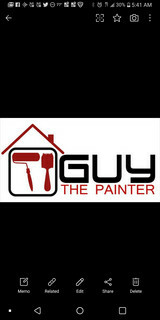 YourNextPainter is a full service painting and remodeling company. We have been in business since 1991 and have thousands of satisfied customers. We are A+ rated members of the BBB, and various chambers of commerce. We focus on customer service and providing the highest quality work available focusing on the customer's vision and goals. We have been in the residential home painting, roofing and gutter industry for over twenty years and have earned a reputation for quality and excellence in the Dallas/Fort Worth Metroplex. Our Team is dedicated to serving you with the highest standards of quality workmanship and customer service. From the initial estimate to the final walk through, you can rest assured that the job will be done right the first time and that we will stand behind our work. With a proven track record and thousands of satisfied customers, you can count on The Phillips Team. Does CertaPro Painters of Frisco/Denton, TX perform the type of house painting I plan to do? You are sure to find what you are looking for in our complete list of Exterior Painting Services and Interior Painting Services. From prep, priming and painting to carpentry repairs, from specialty coating to help with color selection, we are the painting company for all your painting needs. Lifestyle updates are our passion; and residential interior and exterior repaints are our specialty. It's easy to get stuck in a rut with getting kids to track, swimming, soccer, baseball and on and on... Simple color updates to kitchens and family rooms are good for the life of the family. 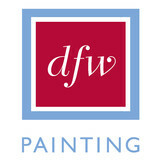 From wallpaper removal and texture in kitchens and bathrooms to replacing rotted wood on the exterior, we’ve been delighting customers in and around Flower Mound since 2001 and we have one of the highest repeat-customer and referral ratios of any painting company in your area. From your initial consultation to final clean-up, we take care of you and your home. Clark is personally on-site several times each day to insure your complete satisfaction. Our specialty is delighting you by providing up-front advice, project expertise, and thoughtful follow-up. Your Home, Your Style, Our Expertise… Call Today. We are a company dedicated to our work and our clients. Giving them the most exceptional service that every client deserves! We take great pride in all of our projects from beginning to end. Our goal as a company is to grow with our local communities and build new relationships as we try to rise to the top as your local trustworthy Painters/Handy Men. Specialty finish painting contractor. Cabinet refinishing. Fine painting, interior and exterior, to create the artistic home. A North Texas tradition of delighting our customers for 23 years. Only painting for homeowners, occupied or un-occupied.